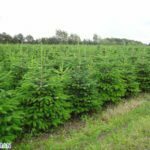 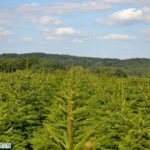 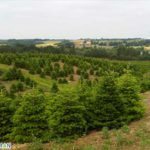 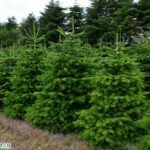 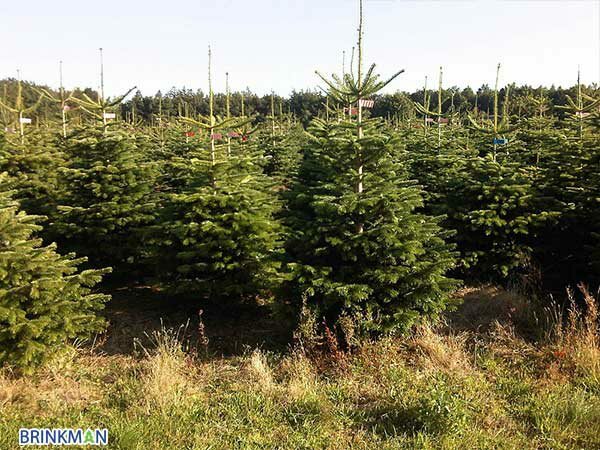 The Flora Danica Nordmann Christmas tree is the result of a long-standing collaboration between different Danish growers and Brinkman Nordmann. 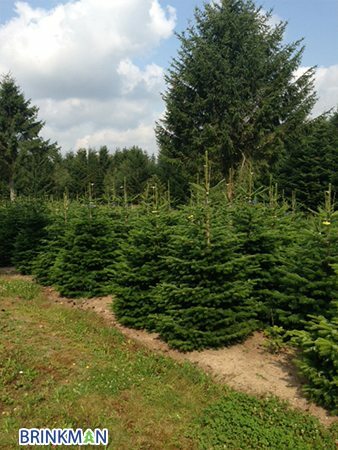 The Nordmann trees are grown and maintained by our Danish growers. 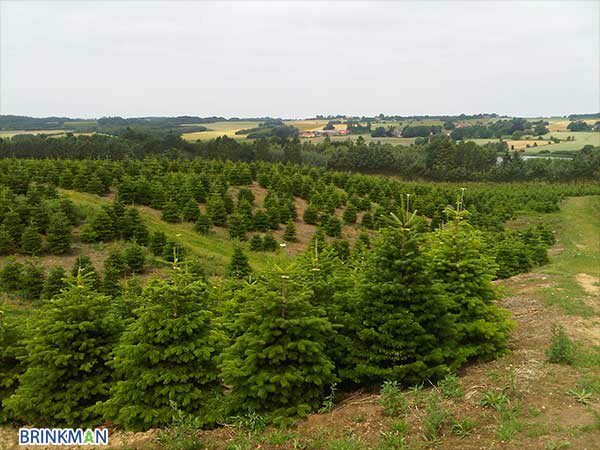 This maintenance consists of yearly pruning, fertilising and inhibiting the growth of the trees. 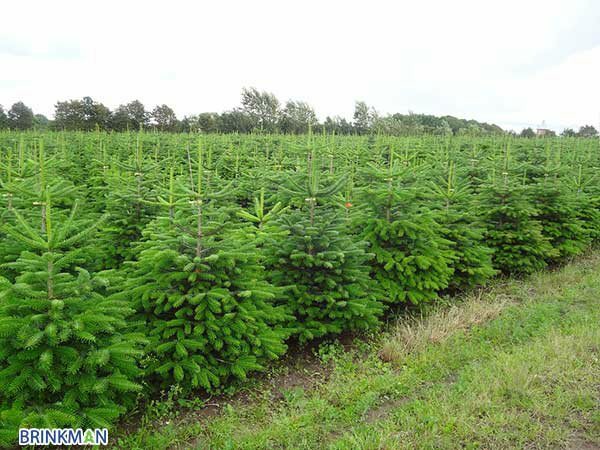 In this way the Nordmann Christmas trees are grown into the right shape. 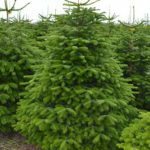 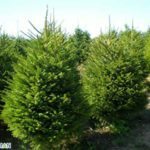 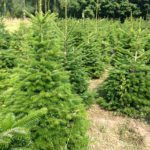 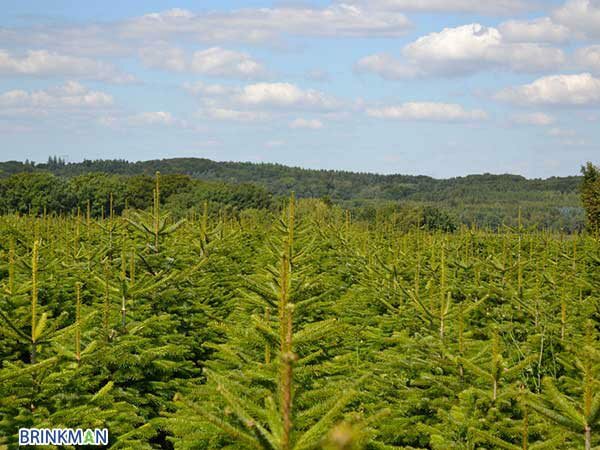 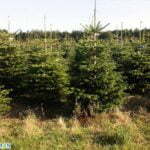 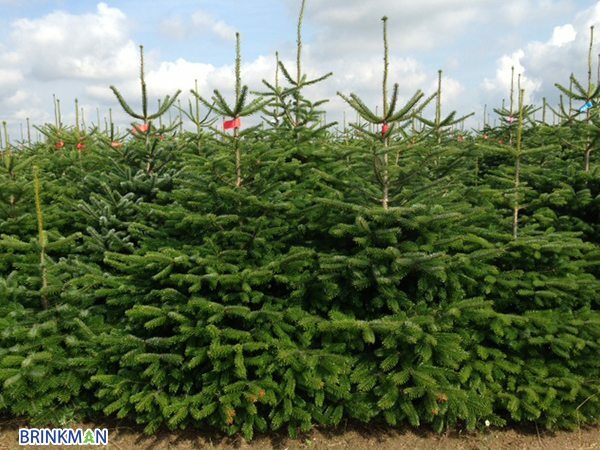 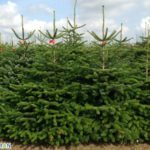 After a growth period of 7 to 8 years, Nordmann trees can be delivered in sizes up to 150 cm. 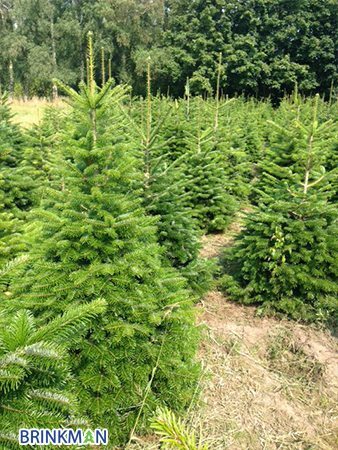 After 8 to 10 years the Nordmann trees have become beautiful, fully grown Christmas trees with a length of 150 cm to 250 cm. 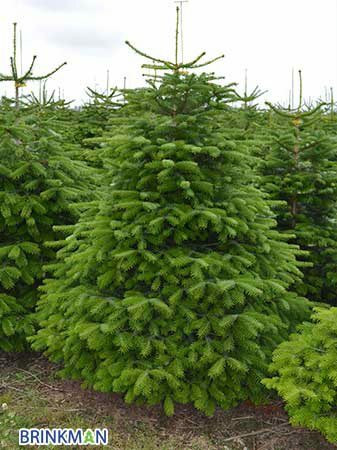 Prime: an extra full tree with evenly distributed symmetrical branches. 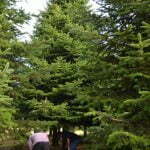 Standard: an open character tree with symmetrical branches. 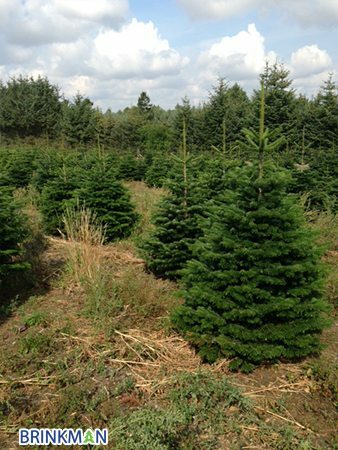 These sizes have been measured from the kerf (ground) to the last wreath (half top). 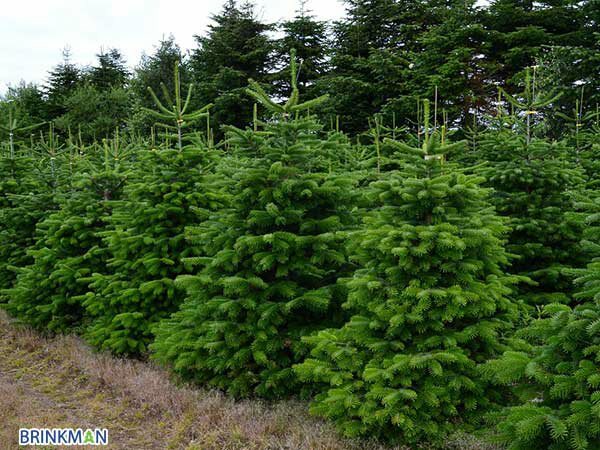 Christmas trees larger than 300 cm are only delivered on request. 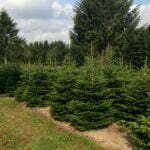 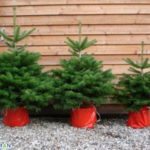 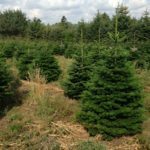 Please place your order for these large sized trees before the first of coming November.